Foris Law Offices offers experienced, expert legal representation to Illinois businesses and not-for-profit entities in the defense and prosecution of tort liability claims filed by or against individuals, estates, business competitors and professionals. For more information about Foris Law Offices’ Tort Liability Defense Practice, please contact Carrie Foris at cforis@forislaw.com. Foris Law Offices also offers highly experienced Appellate representation to our clients who are seeking to overturn unfavorable trial court outcomes or affirm legal victories. We are skilled in handling appeals from all types of tribunals including administrative tribunals and civil courts and have acted as additional counsel at the trial level to ensure the protection of issues for potential appeal. Our appellate victories include issues ranging from civil procedure to issues of the first impression. A sampling of our Appellate experience includes litigation procedural matters, general tort liability, professional liability, insurance coverage, employment law, commercial liability matters, administrative law and workers’ compensation. ​For more information about Foris Law Offices’ Appellate Practice, please contact Carrie Foris at cforis@forislaw.com. The firm represents clients in matters before all Illinois Circuit Courts and Illinois Appellate Courts in venues located throughout the State of Illinois as well as before the Illinois Supreme Court. 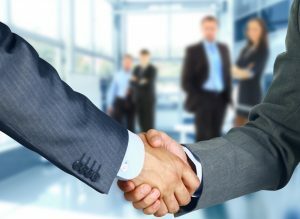 In addition, we represent clients before administrative agency tribunals throughout Illinois including, but not limited to the Illinois Department of Employment Security (IDES), Illinois Department of Human Rights (IDHR), Equal Employment Opportunity Commission (EEOC) and the Illinois Workers’ Compensation Commission (IWCC). Foris Law Offices is a modern, agile firm with the technological capability to work anywhere. The firm’s primary offices are located in downtown Chicago, Illinois. However, because many of our clients are located outside the downtown Chicago area, we often travel to our clients’ locations for consultations and on-site legal work. For more information about Foris Law Offices, please contact Carrie Foris at cforis@forislaw.com. Or visit our Contact page. Foris Law Offices offers a unique approach to handling tort claims filed by or against our clients. We look at each claim as not just a single event, but a part of the bigger business picture. We seek to both succeed in resolving the instant claim and prevent future claims from happening. We develop relationships with our clients that drive success through an in-depth understanding of our clients’ business and risk management goals. Upon receipt of any claim or litigation referral, we conduct a comprehensive analysis of the claim, oversee early investigation processes and advise on immediate administrative reporting requirements. We actively partner with our clients as well as their adjusters, internal risk managers and in-house counsel to develop custom litigation strategies, budgets and plans to meet their goals and continuously revisit and improve those strategies throughout the life of the claim. Whenever possible, we strive to efficiently resolve claims without the need for costly litigation. Should litigation become necessary, we aggressively advocate for our clients at all stages of litigation to obtain winning results in the most cost-effective manner. The firm typically handles General Tort Liability matters on an hourly rate basis. 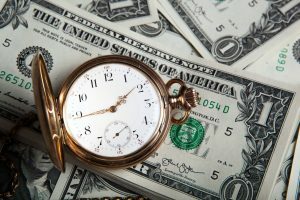 Hourly rates for General Tort Liability matters are based on a number of factors, including the complexity of the matter. Foris Law Offices may also offer blended hourly rates for clients who have multiple claims requiring different levels and types of expertise. When available and appropriate, partial contingency fees blended with either a flat-rate or hourly rate may be offered in certain third-party liability, subrogation or reimbursement matters.